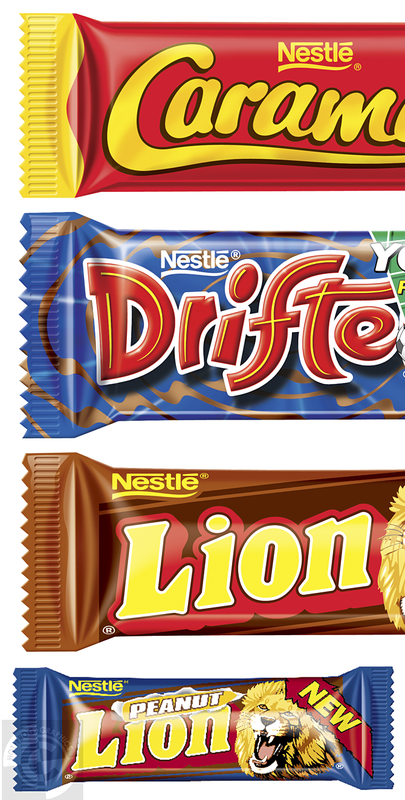 My first ever commission at Nestle was to help re-design the wrapper for the Drifter bar. How cool is that? An avid collector of chocolate wrappers since being at school and then designing my own, I loved the work. I did piles of sketches and prototype wrappers before we landed on the famous Choic n Chew design. Since then I’ve produced illustration work for most of the top bars. This particular wrapper design lasted a good 10 years i think before it was replaced.